Flagstaff has been a trusted name in RV camping for years.There a very good reason the iconic Flagstaff name has stood the test of time. 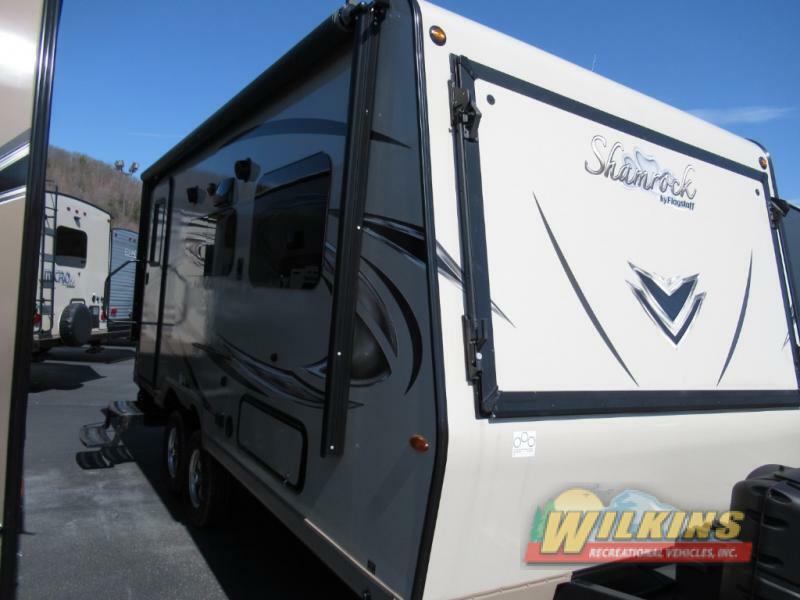 This value packed line of campers offers quality, versatility and comfort at an attractive price point. With a wide variety of Flagstaff RVs for Sale from pop-up tent campers to luxury fifth wheels and everything in between, there is a Flagstaff RV to meet every camping need. Here, we’ll take a look at the large selection of Forest River Flagstaff brands from small to tall. 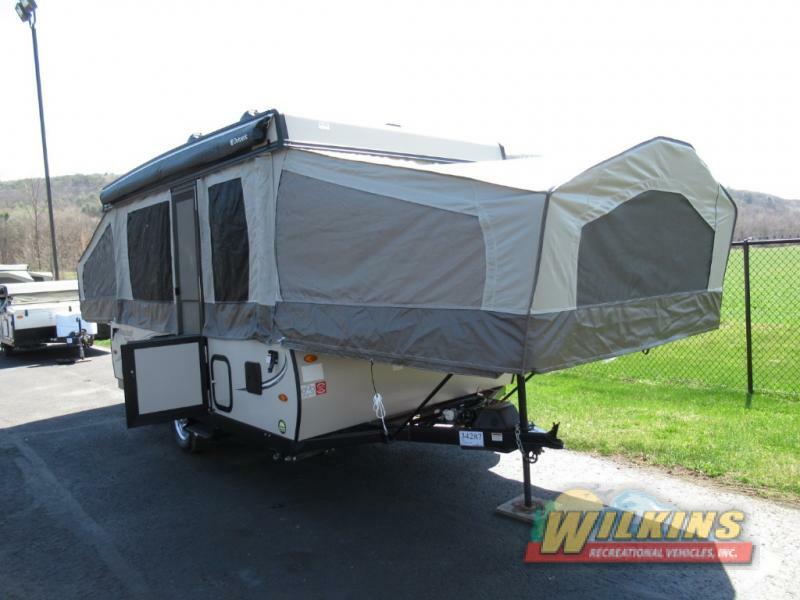 Introduce yourself to RV camping with a Flagstaff Folding Tent Camper. The MACLTD series Pop-Up is a great choice for families and campers looking to ditch the tent and discover the comfort of camping in an RV. These lightweight trailers are easy to pull and provide comfortable sleeping space for up to 6. The next step up is the Flagstaff Shamrock Hybrid Trailer. With more living space and sides that fold out to tent covered beds. the Shamrock Expandable Camper a great lightweight travel trailer for family groups up to 9. If a fully enclosed travel trailer is more you’re style, the Flagstaff Micro Lite is a popular lightweight camper trailer for weekend getaways and spur of the moment adventures. 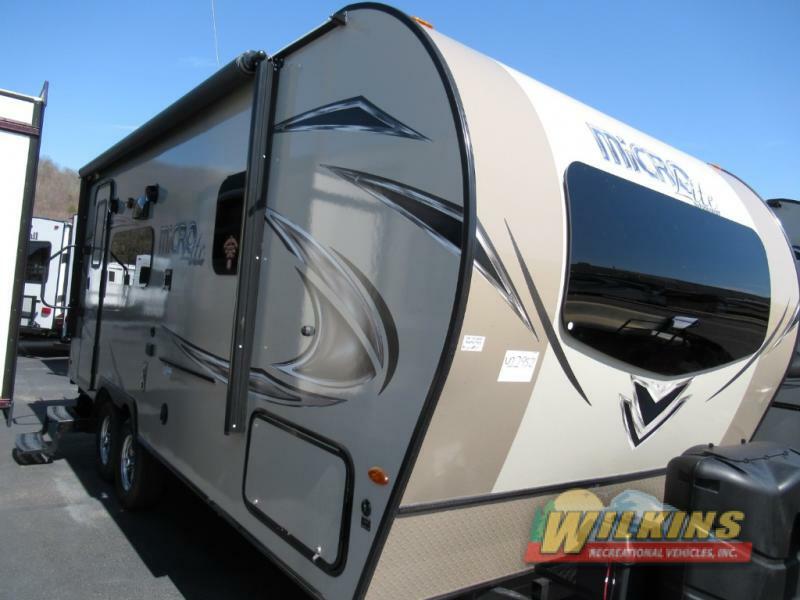 The Micro Lite is smartly designed to live large in a compact RV footprint. For a step up in luxury and space, the Flagstaff Super Lite is packed with residential furnishings and upgraded options. There are multiple Super Lite Travel Trailer or Super Lite Fifth Wheel RV models to choose from. 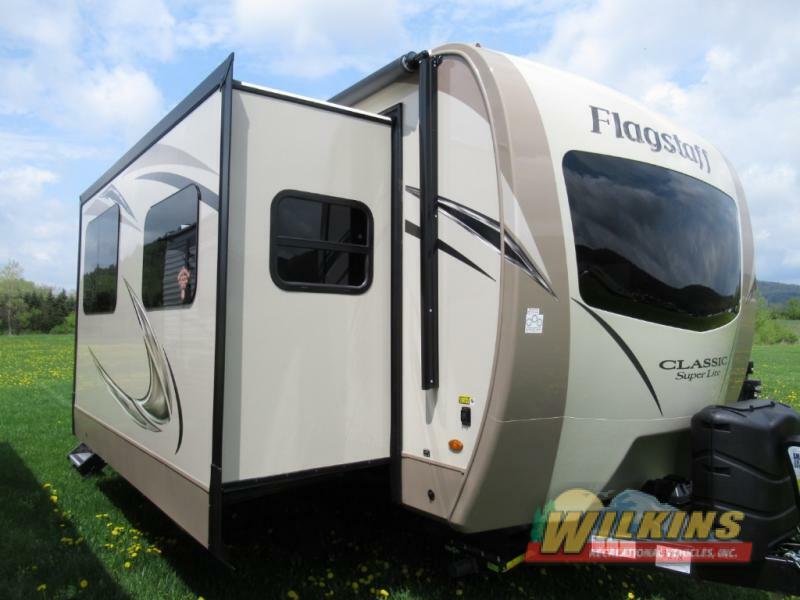 For top of the line RV living the Flagstaff Classic Super Lite is an unbeatable luxury option. There are a number of stunning Classic Super Lite Travel Trailer and Fifth Wheel Floorplans to choose from with up to four slide out rooms for added interior space. Packed with upscale residential amenities, the Flagstaff Classic Super Lite is one of the best values on the market today. 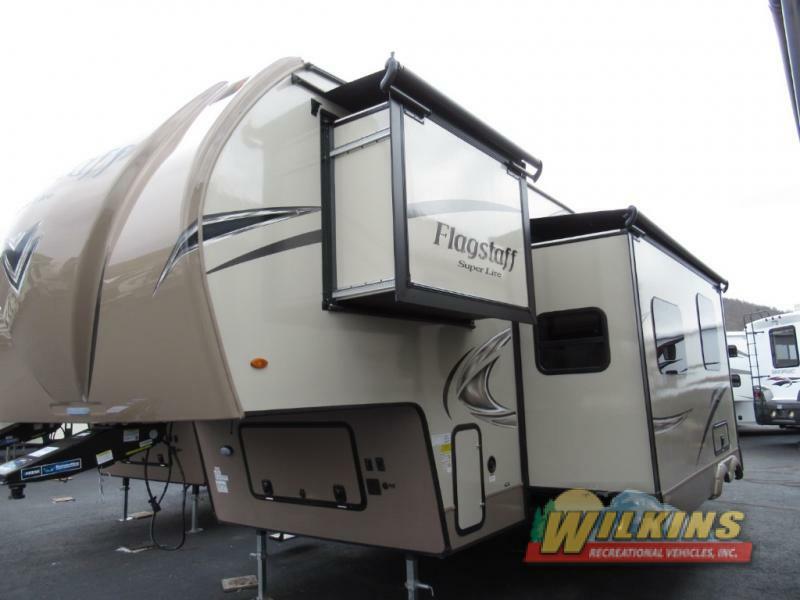 Visit Us at Wilkins RV and take a tour of our large selection of Forest River Flagstaff brands and models. Our RV specialists are here to help you find just the right RV at a budget friendly price.